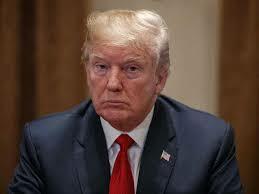 House Democrats will hold their first hearing on presidential tax returns Thursday afternoon. 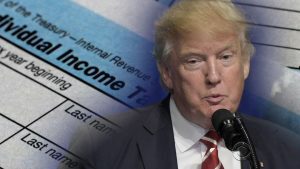 Democrats have been trying to get their hands on President Donald Trump’s tax returns since he flouted tradition and refused to release them during his presidential campaign. When he took office, Trump continued to keep them private. Vice President Mike Pence has released his documents. Ways and Means Committee Chairman Richard Neal, D-Mass., is the only member of the chamber who can request the president’s tax returns. So far, he hasn’t done it. “Chairman Neal is building a case in the event that the administration decides to disregard federal law,” she said. “At some point” may not be fast enough for some of the caucus’ most progressive members. “I’d like to know exactly what that timeline looks like, but I don’t see why we’re not moving it quickly. They need to move that quickly,” said Washington Rep. Pramila Jayapal, a co-chair of the Congressional Progressive Caucus. 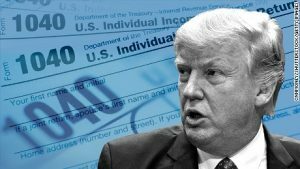 Thursday’s tax hearing agenda is not focused on Trump, though the president could always come up. Instead lawmakers plan to explore a provision in H.R. 1, a bill being pushed by House Democrats that would reform ethics, voting rights and money in politics. The bill would also require presidential and vice presidential candidates to release their tax returns. The legislation is likely to move through the House, but it is not expected to pass the GOP-controlled Senate. If Democrats want Trump’s tax returns they’ll have to use their oversight privilege, a role the party relishes. Even though it’s their duty to conduct oversight, Democrats will not abuse their power, Jeffries said. “The House is going to proceed with restraint with regular order. And that’s why hearings will take place, including the one on exploring taxes related to the president and the vice president before any action is taken,” he said.